Find quick and easy dinner recipes for the whole family enjoy. Search healthy dinner recipes online for kids, toddlers, vegetarians and more. As a busy working Mom myself I am always looking for Easy Dinner Recipes I can cook for my family. When you're working all day, doing the school run and attending outer school activities, you really need quick and easy recipes and of course Healthy Recipes for Kids. Coming up with new and exciting meals that all the family will eat can bring many mothers to despair. I find the best way to deal with this is to Meal Plan, this works for me, before I do my weekly shop I fill in a weekly meal planner and then write the ingredients I need on to my shopping list. This way I don't always cook the same meals every week, on the same day and I don't end up cooking Pork, Beef or Fish four days out of the seven. Chicken, I also plan what Breakfast, Lunch and snacks we will be having this really does save me some time and it helps when we do our family budgeting. Because we use this method I can also look for new recipes to try as the family are used to having a variety of meals which are healthy and nutritious. 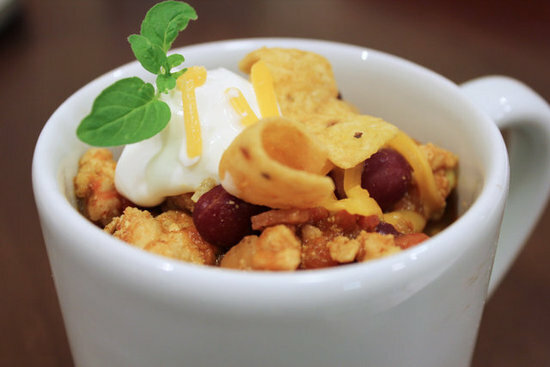 This beef chili recipe is delicious - even my finicky son loves it. I put in extra vegetables to make it healthier. It can easily be made with ground chicken or turkey instead of ground beef. It is a perfect winter warm up recipe and an easy dinner the family will love. 1 kg or 2 pounds of lean ground beef. You can use ground chicken or turkey instead. Do you feel constantly hassled when it comes to thinking of putting a meal on the table at the end of a busy day? There is a solution by way of easy monthly meal planning. Not only is the free monthly meal plan provided for you, so too are the delicious recipes. And it gets better...for each of the Main Meals that you cook, there are Leftover Recipes. This means that you cut the time on preparation and more or less get two meals out of one. February's Easy Dinner Recipes are available. If you want to know how to cook Beef Tenderloin, there is a delicious recipe with a coriander, paprika and black pepper rub. Want to use the leftovers? Try the Beef and Broccoli Stir Fry. And then there is a very light Smoked Salmon Pasta Recipe - ideal for informal entertaining or a simple family evening and very quickly prepared. And how about starting the day with Healthy Blueberry Muffins? This recipe can be prepared the night before and then whisked into the oven in the morning. Nothing beats the aroma of freshly baked muffins in the morning and they are great lunchbox fillers. Quick Easy Dinner Recipes - Mexican Style! We all want quick and easy recipes for dinner but also want something that is flavorful, easy on the budget and something the whole family will enjoy. 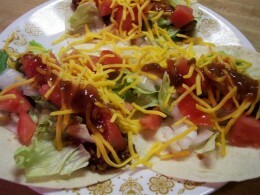 Here are some easy quick easy dinner recipes with some Mexican flair! This is a fun, kid friendly enchilada type recipe. Kids and adults alike love the crunch of the tortilla chips. If you want to make this recipe extra quick, use the dehydrated onion flakes rather than chopping fresh onions.